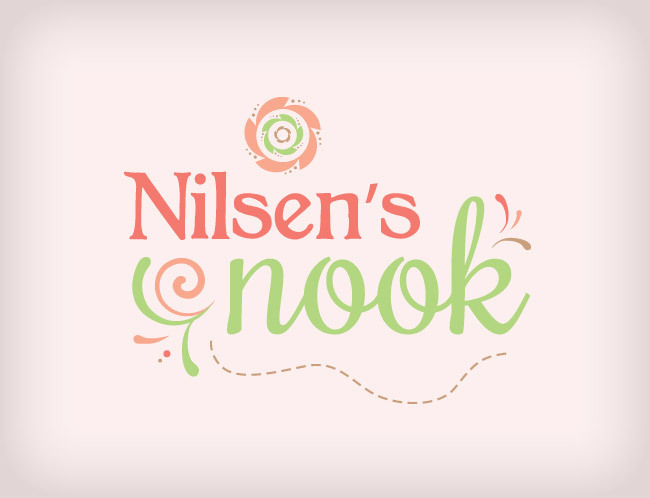 Nilson’s Nook is a sweet Etsy shop with adorable handmade items for babies, kids and adults. We wanted the brand to be whimsical and cute with a vintage vibe. We chose a color palette that evoked a fun and child-like style but still kept a beautiful and vintage vibe in mind. Different pinks and greens were paired to achieve this look. We also used fonts that were whimsical and unique to contrast one another and add to the beautiful style. There are tons of details and adornments that we added in the logo that bring more whimsy to the logo, and also add to the handcrafted feel including the detailed flower symbol at the top, the sewing stitch line at the bottom and the other loops and adornments on the sides. Everything together completes the fun style and gives Nilsen’s Nook the look they were after.